For mariners, a lighthouse often represents a beacon of hope when they have ventured off course. A lighthouse is also a critical guide when charting a careful return to port or departure to sea. The Juvenile Court has launched Lighthouse, a residential program for girls, to offer hope in discovering a deliberate, viable, charted course for their futures. Location: Located in the American Correctional Association accredited Ottawa County Juvenile Detention Center at 12110 Fillmore Street, West Olive, MI. Pre-Screening: The program is open to females ages 12 to 17 who are under court jurisdiction. Referral is easy. An initial referral form (attached below) will be completed and the treatment supervisor will discuss the case with you further. Assessment: A comprehensive needs assessment is completed prior to a girl starting Lighthouse to allow the referring court and Lighthouse to gain needed information on how to best work with each girl and family. 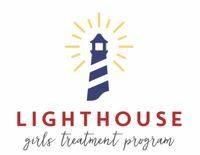 Unless other arrangements are made with Lighthouse, the girl is typically housed in the Juvenile Detention Center during the assessment period at a reduced per diem rate. Treatment: Lighthouse offers a strong treatment/therapy component. The program is designed to provide intervention through daily groups, individual treatment work and weekly family sessions. Licensed therapists provide highly individualized evidence-based treatment for female adolescents dealing with trauma, substance abuse, anger and impulse control, self-injurious behaviors, mental health disorders, attachment, parenting conflict and delinquency struggles. A secure facility allows the Lighthouse staff to provide a safe environment to encourage and challenge growth. Home visits and parent participation are also a part of the therapeutic process, as appropriate to each case. Psychodynamic Education: Building on the female-specific, individualized needs of each participant, the Lighthouse psychodynamic education program component is designed around the six domains of adolescent development: Intellectual, Spiritual, Physical, Emotional, Relational/Familial, and Sexual. Residents are involved in a weekly education group and various community projects designed to develop better social/life skills, enhance understanding of community resources and create a sense of belonging within a community through contributing or giving back. Academic Education: Educational needs are met through the on-site school offered in partnership with the Ottawa Area Intermediate School District. The educational program goes beyond the basics by encouraging personal expression, physical confidence and understanding through additional art and physical educational programming. Aftercare: Lighthouse’s ultimate goal is to facilitate the resident’s successful re-integration home with her family and community. The program’s therapist and caseworker will work with the referring court’s staff and the girl’s family to identify a local support network and resources prior to the girl’s return to her home community. If you would like to discuss the potential referral of a girl to Lighthouse or have questions about the program, please don’t hesitate to call. We are here to help you. Referral is easy. An initial referral form will be completed and the treatment supervisor will discuss the case with you further. A call or email to the Juvenile Detention Superintendent, Bob Alward, as noted below starts the process. ART2 is a project-focused program operated by the Juvenile Court. The program was spawned by the Center’s art teacher – Angie Johnson – and her students. The goal of the program is to encourage each youth’s artistic strengths and provide positive opportunities for self-expression within the community as well as learn simple business and marketing skills. Many youth in the Ottawa County Juvenile Detention Center seek opportunities to appropriately express themselves and are very artistic. The girls in the Lighthouse Program are no exception and have taken the lead on the projects in ART2. As people from the community donate wooden chairs, tables, and other furniture items, the Lighthouse girls paint them in a decorative fashion. Each chair or other art form represents thoughts, ideals, favorite themes, memories, history and peaceful places that resonate with the youth. The contributions of the girls in Lighthouse reflect time, talent, commitment and the positive effects of self-expression as exemplified in each item. Visit Art2 to view completed pieces.